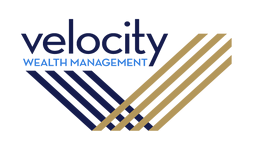 At Velocity Financial Group, we have the client—and only the client—in mind. Our mission is to get to know and understand the desires and long-term goals of our client. We will help our client develop, implement, and monitor a customized strategy that’s designed to address their specific situation. Our commitment is to utilize all of our resources available including bringing specialists and other knowledgeable advisors to the table as needed in order to help our client pursue and achieve their goals. As a coach, we will have the tough discussions as needed in order to mitigate financial failure and to be able to lead our clients to happiness and financial freedom. We will not be afraid to challenge conventional wisdom in our approach to protection, wealth accumulation, retirement distribution, and estate preservation. We will be committed to focusing all of our energy and efforts on our client and their realization of a successful financial life.